Sad news for citizen journalism: OhMyNews International, the global English-language version of South Korea’s OhMyNews, is shuttering its program, becoming instead a site about citizen journalism. The paid editors for OmN found it increasingly difficult to verify facts because stories poured in from all over the world. OmN receives as many as 225 articles per day from a pool of 70,000 citizen journalists. “Fact checking is one of our core principles,” according to the OMNI team. This is, in my experience, a problem you only ever dream of with a citizen journalism effort: too big to maintain. But it’s an important thing to plan for, as the closure of probably the biggest international cit-journ platform in the world emphasizes. How do you plan around it? I think you either alter your standards for publication (label some stories un-verified) or, even better, you get your contributors to help you out. Start by attracting your best contributors to be volunteer fact-checkers/editors. Then build a vetting system within the community that lessens the amount of employee time spent verifying stories. Imagine a simple comment-like interface that appended various approvals from trusted users to a story – the story wouldn’t get to staff editors without three of them. Amid the many benefits of un- self-employment is that if it’s necessary for me to spend August away on the road, I can do that. That’s right, all of August (roughly). 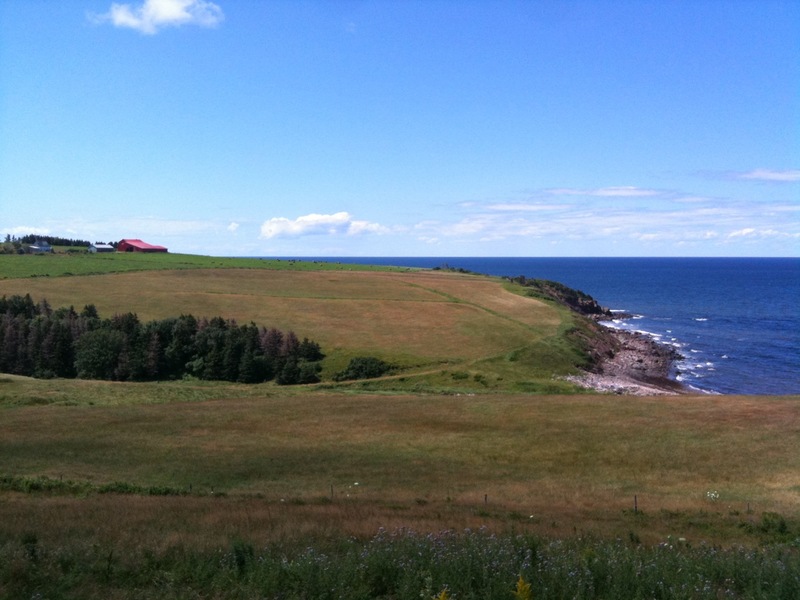 It’s been a great and relaxing trip so far and I’ve just finished a five-day jaunt to Cape Breton in Nova Scotia. Turns out Canada is real pretty. I find that I get inspired when I travel. Writing-inspired. On day two I was careening through the plotline of a possible novel set in Port Hood (that would of course require me to spend another few months up there for research). But I’m deep into Part Two of Project Lazarette, so The Port Hood Novel went to the Notes file. It’s the textural details that really get me. The incongruity of a beautiful chapel inside the camouflage of simple red bricks. The perfect little island sitting just offshore with the oft-attempted but now ruined causeway almost crossing the channel to it. The silver oaks that get their name from the color on the underside of their leaves, the color the trees turn when a storm’s coming. I think the impulse to write for me starts with the details, with wanting to collect them and string them all together. Traveling for me is actually a great fount of short story writing. “Meet, Prey, Kill” in 48 Hr magazine was the product of one of these inspirations. The key is to capture as many details as possible while you’re still there.